In May 1973, people began to meet in Kimberling City, hoping to form a Lutheran congregation. In November, arrangements were made to hold Divine Services on Sunday afternoon in the Methodist Church here in Kimberling City. 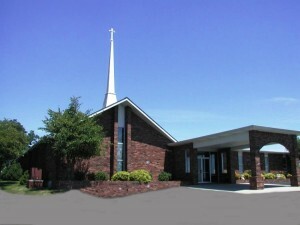 In 1974, Shepherd of the Hills Lutheran Church chose to affiliate itself as a congregation of the Lutheran Church–Missouri Synod. In 1978, we moved into our current building. Since then, we have had two building additions. Today, as Shepherd of the Hills Lutheran Church, we still dedicate ourselves to being faithful to our Confession in both doctrine and practice. This is all for a good end. As we confess: “To obtain such faith, God instituted the Office of the Holy Ministry, of preaching the Gospel and administering the Sacraments. Through these, as through means, God gives the Holy Spirit who produces faith, where and when He wills, in those who hear the Gospel” (Augsburg Confession, Article 5).